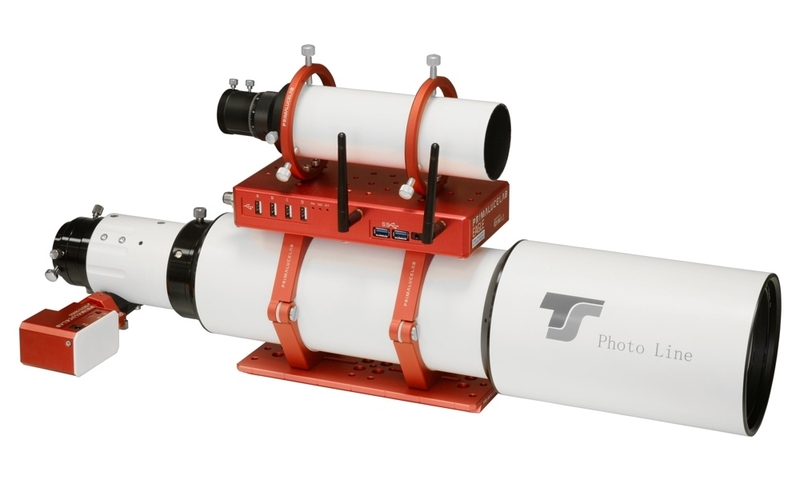 TS-Optics Photoline Lanthanum + FPL-51 115mm f/6,96 triplet apochromatic refractor offers an image which was available only from significantly more expensive refractors until now. Thanks to the special triplet objective with Lanthanum and FPL-51 lens, the chromatic aberration is so low that you can't see it and the correction is better than the one of comparable ED instruments. The objective is air spaced and it is adjustable. 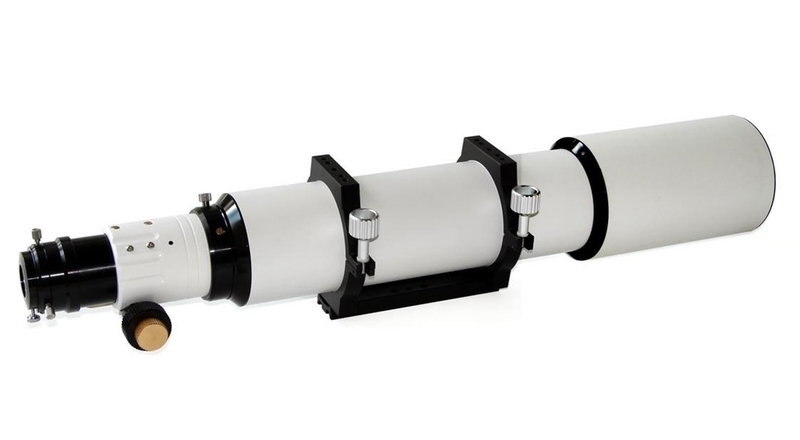 This telescope perfect not only for deep-sky astrophotography but also for the visual use, both in wide-field and high magnifications on Moon and planets. 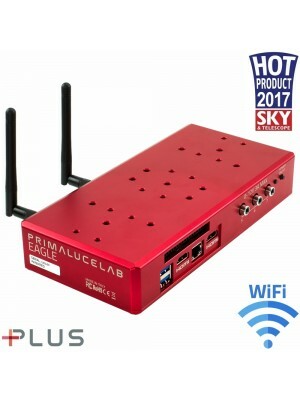 - High class triplet objective with two special glasses - optical quality and colour correction significantly better than from simple FPL53 dublets. - Retractable dew cap - thus perfectly suited for transportation - transportation length only approx. 71 cm! - Noticable better illumination than all comparable apochromatic telecopes with smaller 2" focusers - the APO can be used up to full-frame. - TSRed379 - 3" Photoline reducer and corrector: This 0.79x corrector also reduces the focal length to 632 mm and increases the speed to f/5.53. The working distance from the M48 thread is 55 mm. The reducer is screwed to the M63 thread. 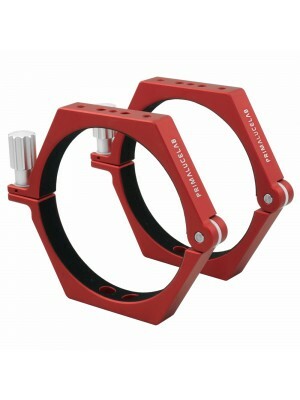 For this, you need the adapter M63a-M68i. 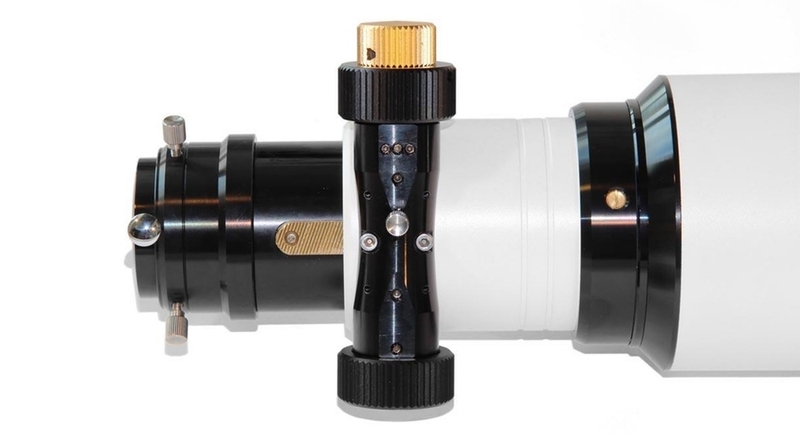 We recommend the reducer for CCD cameras with larger sensors and for DSLR cameras with full-frame sensors. TS-Optics Photoline Lanthanum + FPL-51 115mm f/6,96 triplet apochromatic refractor with EAGLE2 installed in parallel thanks to the 115mm PLUS support rings. On top of the EAGLE2 there is the 60mm CompactGuide scope with PLUS guide rings and on the focuser there is SESTO SENSO, the robotic focusing motor, installed by adding the 33mm adapter for SESTO SENSO.